The LUG will be meeting up this week to work on and finalize the design and plans for our club t-shirt. Unlike most of the clothing in your closet, this shirt will be “compiled” from source. That’s right, in keeping with Linux/DIY fashion (heh) we will be making our shirts from scratch (almost) by doing our own screen printing. This process will be split up over two weeks. This week we will be determining things such as pricing (probably free), design (possibly Tux), and colors (somewhere in the visual spectrum). After that the plan is to meet up next week and actually do the screen printing. This should occur during the regular meeting time next week (April 11th, room TBA). More details coming soon! support community for Drupal GT sites: http://drupal.gatech.edu/ ). extensions, a Drupal site can be very tailored to specific needs. all the site offers. Themeing a site will also be covered. The easiest way for a user to install software on a Debian based system is to install a package. It doesn’t matter if the user is a total newbie, or seasoned power user, nor does it matter if the software is being installed on one machine or a an entire network of computers, the Debian package is easy to install. It turns out, creating a package is also not very difficult, and there are numerous reasons why one might decide to write a package. Curious about Linux? Want to learn how to use a Unix environment on your own computer for class, for fun, or for your résumé? Attend InstallFest 50! InstallFest 50 will be on Saturday, January 28th, 2011, in Skiles room 257 from 11 AM to 5 PM. Thinking about deploying Linux in the enterprise or any situation in large quantities? There’s plenty of software out there to help you do it, and most of it is available in a perfectly good free community edition. -What makes RHEL different than Debian/Ubuntu? -What is this licensing stuff on open source software? -Kickstart, a component of the Anaconda installer that makes deploying similar systems easy. -Spacewalk, server software that does package and configuration management for your network. 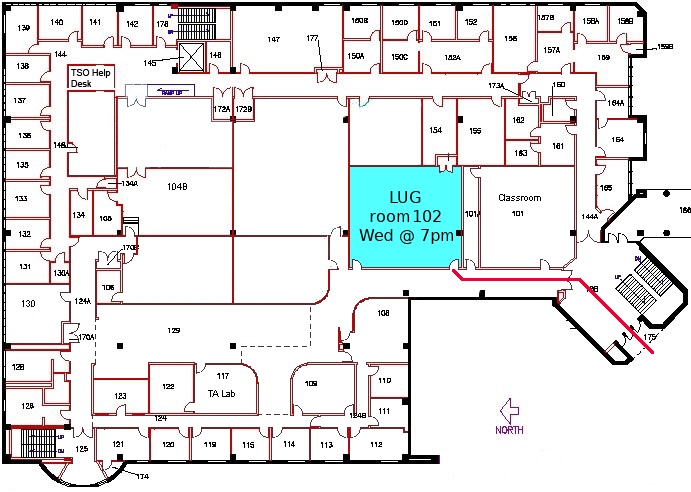 College of Computing building, room 102 <– New room! If as a Linux user you choose to spend a lot of time in the command line (a very wise choice), you will no doubt want to maximize your efficiency. With a powerful shell such as Zsh there are numerous features just hidden below the surface that will boost your productivity to new levels. This presentation will aim to familiarize you with some more advanced Zsh features that will not only come in handy but also be easy to start using with common use cases. Curious about Linux? Want to learn how to use a Unix environment on your own computer for class, for fun, or for your résumé? Attend InstallFest 49! InstallFest 49 will be on Saturday, November 5th, 2011, in Tentatively in Skiles room 257 from 11 AM to 5 PM. For most of the short history of computing, Unix and Unix-like operating systems and the related C programming language have been ubiquitous. This week’s presentation, will be a recount the tale of its inception and evolution, from an internal project at Bell Labs to the modern set of derivatives and act-alikes that dwell on your desktops, in your pockets, and in your datacenters. If you have ever wondered about the relationship between Multics and Unix, the early development of the C programming language, or what the machines that have run Unix and its derivatives over the years have looked like, this might be your chance to find out. Most people have large music libraries these days, but shamefully there is commonly little or inconsistent metadata. This shouldn’t be the case, especially because modern tools have made this task simple. The presenter, a dyed-in-the-wool music tagging zealot, will introduce the concepts behind music tagging, why it is important, and how to do it effectively. Batch tagging tools such as Ex Falso, Easytag, eyeD3, and Picard will be covered. The last of those, Picard, is automatic tagging software, and can be used with almost no work at all. By the end of the presentation, you should be able to manage a large music database (hundreds of gigabytes to terabytes) correctly with correct metadata. In addition, for those who are interested, a quick overview of the state of the art in music information technology and the uses of that technology in open source (playlist generation, similarity measures, and so forth). Ryan Curtin is a Ph.D. student in the field of machine learning. He has claims to have no interesting biographical trivia. With more and more computer users choosing laptops over desktops, the ability to maximize battery life has become an important issue. This presentation on power management and power saving will include topics such as troubleshooting and resolving suspend & hibernate issues as well as various power-saving tweaks that will not only help extend battery life, but also reduce heat & noise.